It is recorded that Albert enlisted at Newton Abbot. He married Lizzie Dorcas Arnold in Lady St Mary’s Church, Wareham, Dorset, on 14th October 1916. Lizzie had been living in Dawlish and Albert gave Wareham as his address, being a Private in the 44th Training Reserve Battalion. 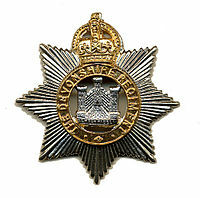 This unit was originally the 11th Devonshires Reserve Battalion which had formed in Exeter in November 1914. It moved to Wareham in May 1915 and became the 44th Training Reserve in the 10th (Reserve) Brigade on 1st September 1916. At some point Albert was transferred to the 8th (Service)Battalion which was sent to France in 1915. He would have joined it some time after his wedding. In April 1917 during the Battle of Arras both 8th and 9th (Service) Battalions attacked Ecoust with great success and light casualties but, a month later, capturing part of Bullecourt cost them 382 killed and wounded. Early October found both Battalions near Passchendaele enduring the worst of the Third Battle of Ypres. It is here that Albert lost his life. A detailed account can be found in Documents, below. Albert Henry West was the cousin of George Carter West (q.v.) who died fighting with the Australian Forces a few months previously, on 15th April 1917. Their joint grandparents were Edward and Fanny West. Edward West (1813-1874) was born in Kenton and was a gardener. Albert Henry West is shown on the Dawlish Boys’ School Roll of Honour. By 1911 he was 21 and a servant and baker to Rupert Charles Curtis, a confectioner shopkeeper in the High Street, Dawlish. See greater deatil in Documents below. 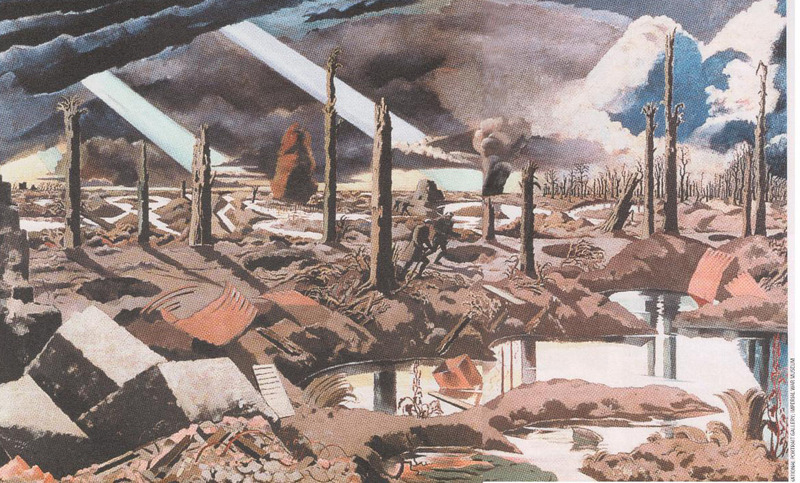 The Menin Road by Paul Nash (1889-1946) repro from The Observer "First World War - The Art of War"